I cut off about 6" of the 3/4 Fiberglass pole for a handle, tapped it at 3" center, Tapped the end of the 3/4 x 8ft. Fiberglass rod. 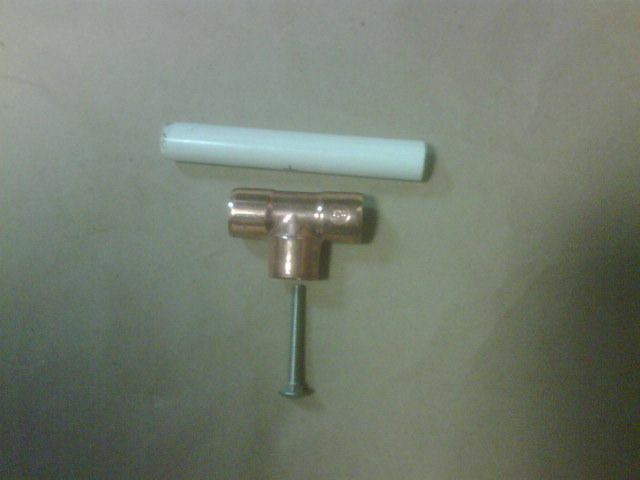 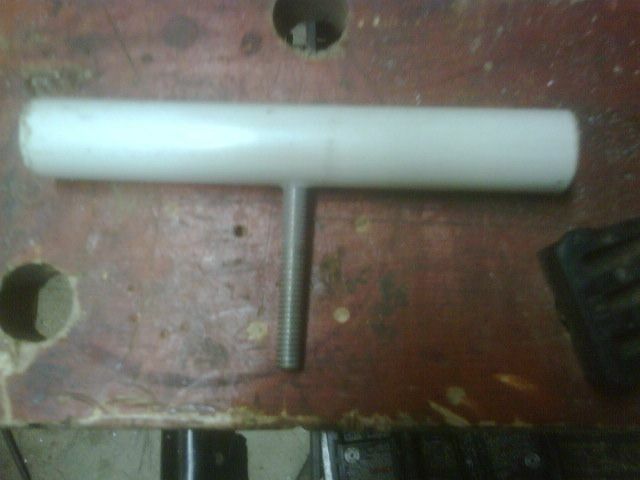 Took the 1" copper tee, filled it with epoxy centered the 6" handle, screwed in the 2 1/2" x 1/4" SS bolt ( cut off bolt head ), screwed the 3/4 fiberglass rod on the 1/4 SS bolt bedding it into the epoxy mixture. 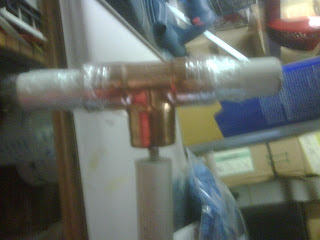 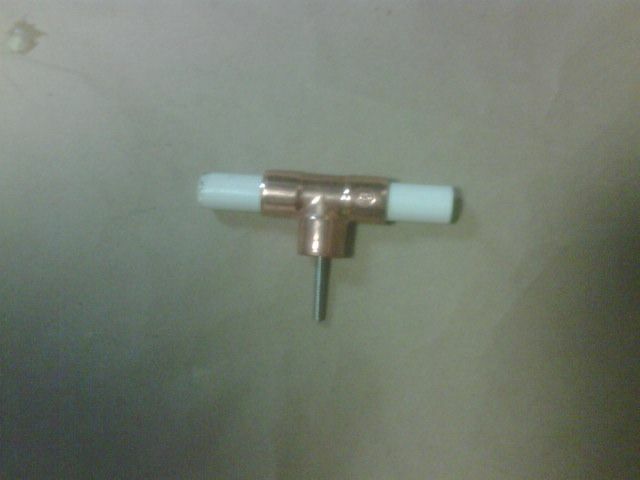 I smoothed out the edges of the fiberglass rod & handle sticking out of the copper Tee. 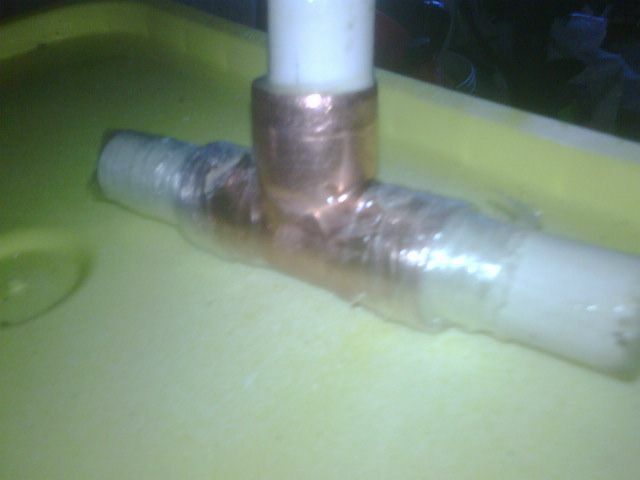 I wrapper the copper Tee & fiberglass with shrinkwrap film and allowed this to cure for 48 hours. 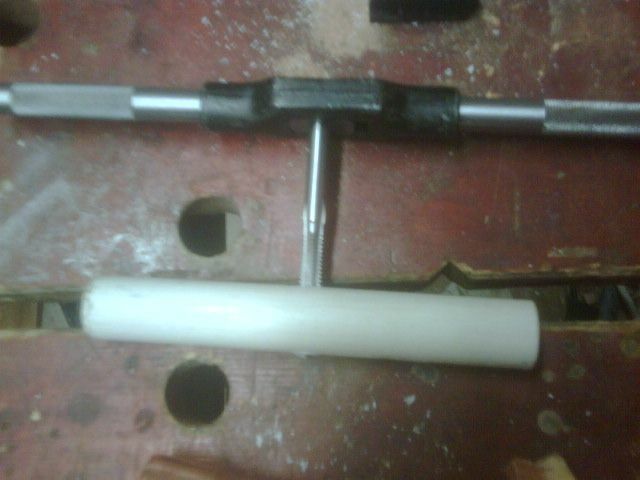 It required a bit of cleaning up but is very soild.